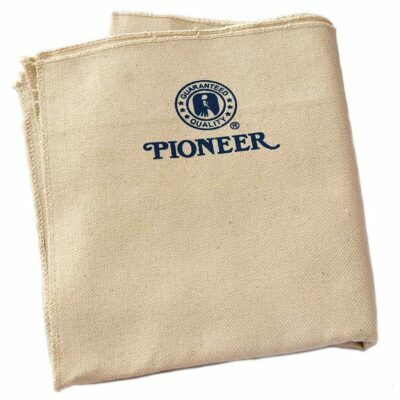 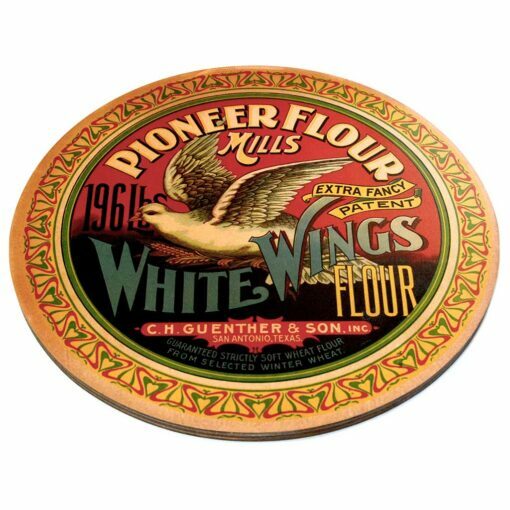 Inspired by Pioneer Flour Mills custom lines of flour sold exclusively by select grocers in the early 1900s. 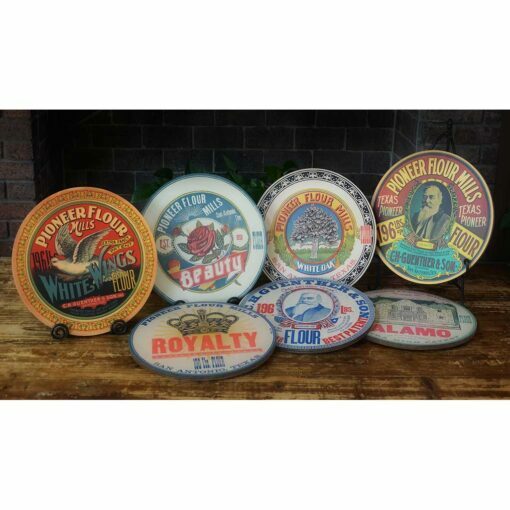 The vintage logo artwork comes in 4 distinct styles and is displayed on a wooden Lazy Susan. The design is in a similar fashion as their original 200 lbs. 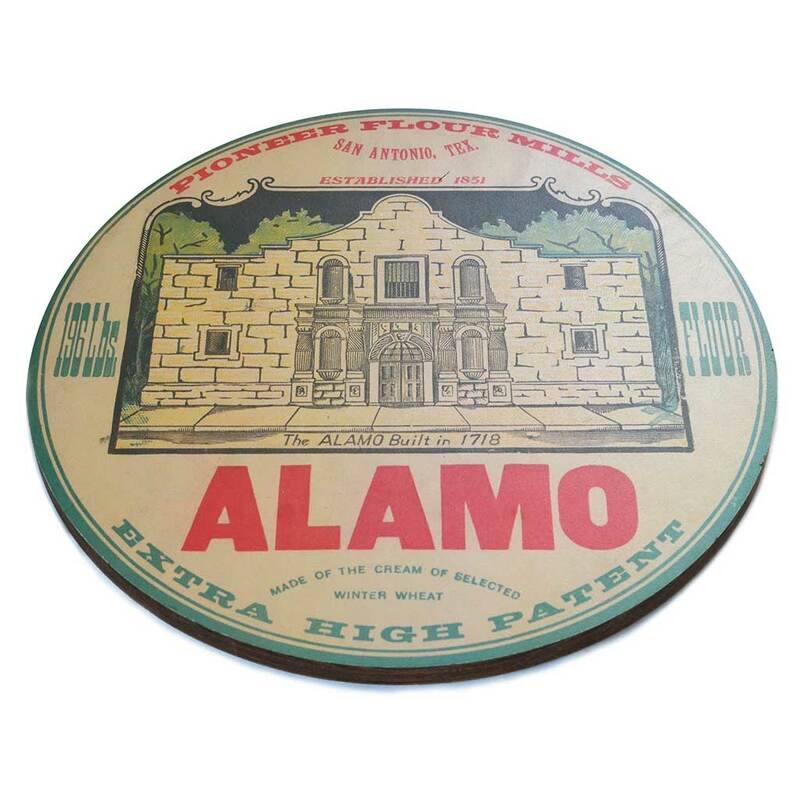 top barrel label design. 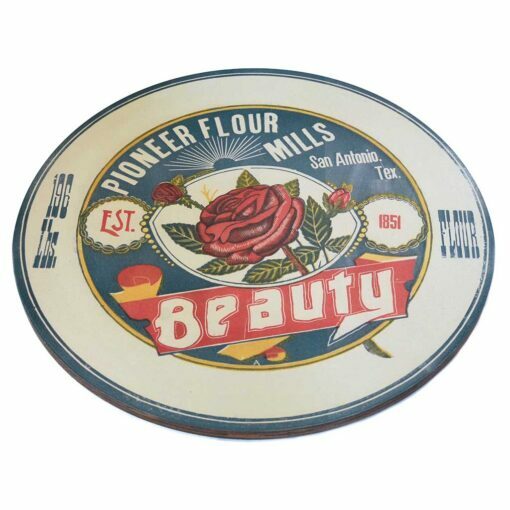 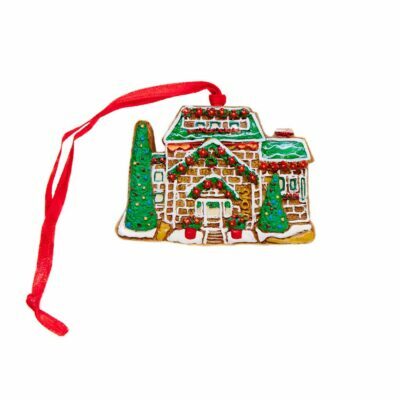 A gorgeous piece of history to add to any kitchen, table, pantry or countertop.